The overarching goal in any marketing campaign is to convert potential customers, or leads, into sales. The first step in accomplishing this objective is to acquire a lead’s contact information so you can start developing that relationship. Essentially, every marketing effort you make from this point forward, all stem from the goal of lead capturing. Lead capturing is the process of having multiple places on your website where visitors can submit their contact information in exchange for information they are seeking. This is commonly achieved through a combination of contact forms, landing pages, and call-to-action buttons. The process of lead capturing is completed in 3 simple steps: collect, follow-up, and track. We will break down these steps further in the sections below. The first and most common form of lead capturing is by asking for basic information through the use of a contact form on a landing page. This can be as simple as a “Contact Us” page or a “Subscribe to Our Newsletter” form. More advanced methods include a white paper or eBook download page embedded with a contact form (sound familiar?) Regardless of what method you use to collect lead information, it is important to note that the more information you ask for, the lower the conversion rate will be. We recommend starting with a name, email address, and comments as the required fields. Now that you are educated about the basics of inbound marketing and your customer’s needs, it’s time to leverage this knowledge to convert potential customers, or leads, into sales. The first step in accomplishing this objective is to acquire a lead’s contact information so you can start developing that relationship. Essentially, every marketing effort you make from this point forward, all stem from the goal of lead capturing. Last week we talked about landing pages and how a landing page allows you to capture a potential customer’s information through a form. 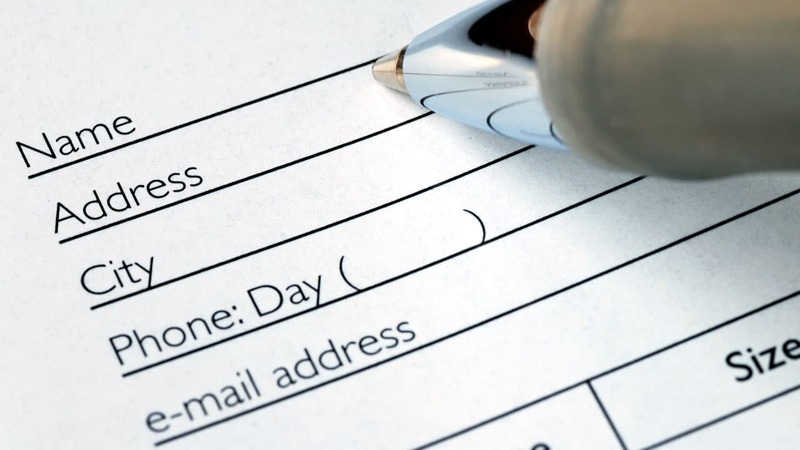 Custom forms are easy to create using the Inbound Brew Plugin. Our contact forms tool allows you to easily create, customize, and place contact forms on your website so you can start gathering information from your leads. Follow the steps below to begin creating your very own custom forms for your website or blog. Need a refresher course on lead capturing? Check out this blog post. To begin, simply click on “Contact Forms” on the main navigation bar and click the “Add New” button in the top right corner to create a custom contact form for your website or blog. First you need to name your form so you can easily identify the form when working within the Plugin. When you create a new form, the plugin will automatically add two fields to your form to get you started: Name and Email. From there, you can add fields to your form by clicking the orange “+” button. Once you have added the lead fields to your form, enter the button text in the “Button Text” field. Every form should be attached to a submit action so your leads have access to the content or offer right away. Our forms tool allows you associate emails, downloadable content, and a ‘Thank You’ message to each form. Each action has a variety of options for you to choose from and the ability to opt-in or opt-out of each action. You can also set the form to redirect the user to any of your website’s landing pages. Simply use the drop-down menu to select which page you’d like to direct the user to. Once you determine the submit actions and you like the way your form preview looks on the right, the last step is to save the form by hitting “Create Form” at the bottom of the page. If you’re editing an existing form that already appears on live pages, saving the form here will automatically update the form on those pages.